I love observing my daughter. In fact, I laugh quite a bit when I do, because I realize how much I was like her when I was her age. Do you remember when you were 7…how you saw the world from those little, brilliant eyes? Was it very different from your perspective today? Watching her, I remember things that make my spirit flicker. I remember dancing and singing without inhibition in front of ceiling-to-floor mirrors. In my eyes and in my heart I felt and looked amazing–all the time (that rocks! )– and I could be whoever I wanted to be… Sandy in Grease, Pippi in Pippi Long Stockings, Annie, etc., you get the picture. Yet, the most exciting part of her world is her exploration of everything, indoors or outdoors, and her almost complete avoidance of TV. She doesn’t care much about that world in the screen, but the one in her mind and in her heart. Now, I’m not recommending living in La La Land, but, what if we could keep that flame flickering? In fact, what if we made sure we didn’t allow it to burn out? How would daily, mundane tasks in life feel different? Think about it. Really, really think about it. I am. 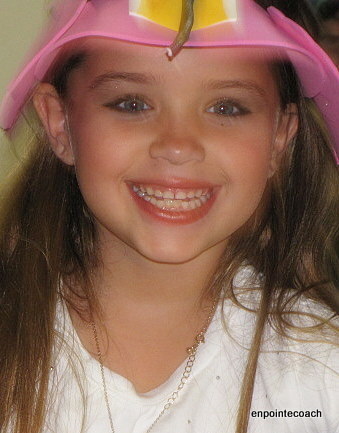 When I visualize myself now, seeing life through my daughter’s eyes, I notice myself smiling, A LOT. I feel lighter, happier, healthier, and in awe of everything. In fact, through her perspective I think of a situation that normally would drive me into a tizzy, and it just seems so petty now– simply meaningless. In fact, petty, ego-driven and non-creative meanderings would most likely not even capture an iota of her attention. They would simply fly past her like a feather in the wind. Yes, through my child’s eyes I get to determine what has meaning and what doesn’t. That’s powerful! So, although we always want to tackle a great BIG goal each new year, what I’m suggesting is that we do something quite simple: see this new year through the eyes of a child, and more specifically, our child within. My sense is that in doing this one simple thing we’ll achieve more goals and more happiness, with greater ease. 1. GO BACK. Find a photo of yourself as a child, that you absolutely love; one that without question speaks to who you are at your core. 2. TAKE NOTE. Grab a sheet of paper and without thinking, write down the first five words (adjectives or verbs) that capture the essence of your child spirit. Then, think of five specific memories (one for each word) that bring to life each word. 3. COME INTO THE NOW. Find a photo of yourself, today, that you love! If you don’t have one, take one! 4. BRING YOUR WORDS TO LIFE. Take your five words and now clearly define how you can lead with them and live them out daily– in the now. 5. SEE IT. LIVE IT. Take a large enough poster board, or create a screen saver of your two photos, your five words, and your new actions. Look at it daily. This is a new twist to the standard vision board– much less time consuming, and more powerful. Are you laughing at my photo? I hope so. That’s what I’m doing, and that’s exactly the feeling I’m after. I love everything about this photo because it points to things I loved experiencing as a child: my secret hiding place (yes, behind this flower bush was my hollow hide out! ); my first bike which tattooed me with a scar the first time I fell off it, and which allowed me to explore the world around me; my Mickey T, which represented one of my favorite fantasy lands– Disney; and my cowboy boots, which I loved to dance in and that reminds me of the little pony I once rode and connected with. 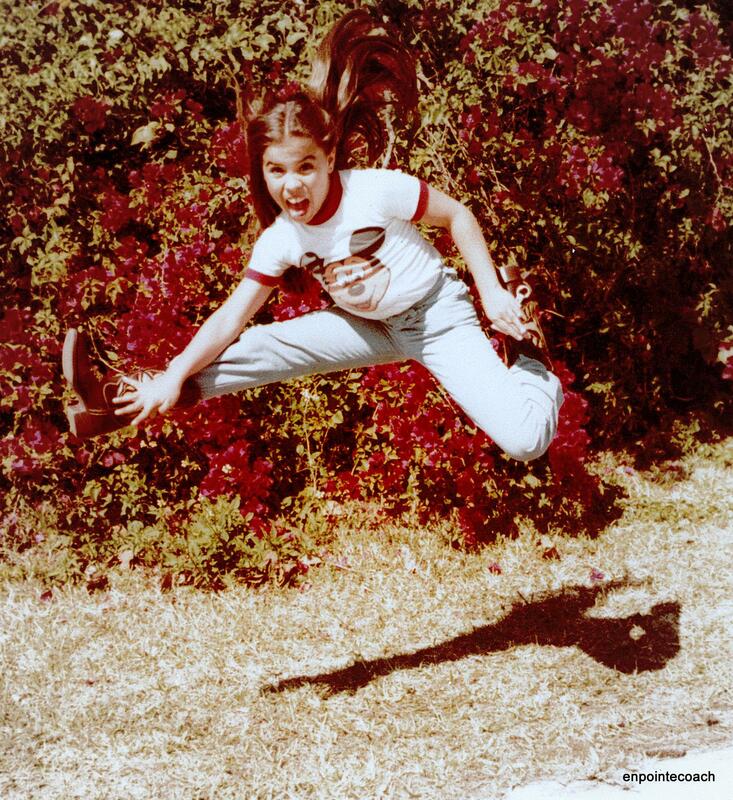 And, best of all, my David Lee Roth jump that says it all. It’s funny. Looking at this photo brings me to present day, where my daughter creates the strangest ensembles which make me cry out, “You can’t leave the house looking like that!” But from her vantage point, each piece of the ensemble means something to her; it’s a piece of her very personal puzzle and she can care less what anyone thinks about it. To her, it’s the best ensemble ever that screams, “This is me, people! Love it or leave it!” That’s exactly how I felt in this picture. It’s a precious reminder. If you’re looking for a way to bring 2011 to a close and begin to bring in some authentic energy for 2012, give my prescription a try, and enjoy re-connecting with your inner child…your true self. Cheers to a passion-filled new year.